Even though you may be suffering from facial acne just as much as back acne, you may be surprised how much thicker the skin on your body is. The thicker skin on your body requires slightly more effort in ridding spots on your body of acne and skin irritations. This method is most likely is too strong for your face where the skin is much thinner. This will help you save money when treating large areas. Scrub for 30 seconds with the dry wash cloth and treatment. This will remove more dead skin cells and allow the treatment to get deeper into the skin. Don’t scrub so hard as to make the skin raw. After a few treatments you will get a feel for how hard to scrub. After your skin becomes healthy you will find the extra exfoliation is exhilarating. This method also helps you cover more area with less of the treatment, to save money. Any other time you wash just use our natural soap and a clean wash cloth. If you are experiencing skin irritations on your outer arms and thighs then you are likely suffering from keratosis pilaris. Here are instructions for clearing your skin of keratosis pilaris. I’ve Tried Everything and Am STILL Not Clear… Now What? You probably know that the average store-bought soap is a chemical soup of Frankenstein ingredients. Ingredients that you now know can’t do anything to the skin but make it smell better. Triclosan is one such ingredient. Invented in the 1960’s by a chemical company, triclosan was created as an effective antibacterial agent that kills bacteria. That might be awesome for your dirty countertops – but what of your skin? Your skin is the most exposed organ in the body and has a symbiotic relationship with the good bacteria on your body. Killing all the bacteria on your skin can have devastating effects for the health of your skin. 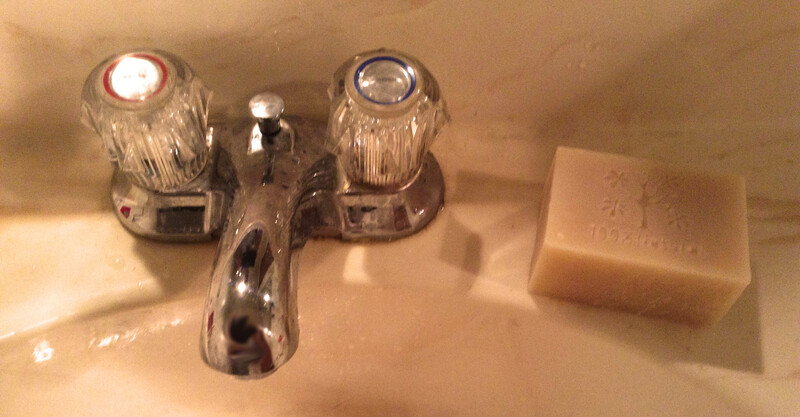 Triclosan as an antibacterial soap is a relatively recent trend. Despite purported claims by major companies that antibacterial soaps are healthy, no such proof exists. The FDA voted 11-to-1 that antibacterial soaps were no more effective than regular soap and water. Oops. 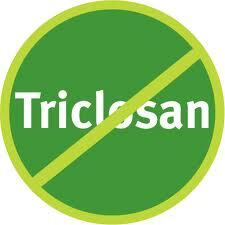 Carley’s Clear & Smooth doesn’t touch triclosan with a 10 foot pole. Not only do we recommend avoiding products with triclosan but we adamantly oppose anyone on the acne regime to even come in contact with antibacterial soap. Why? While bacteria is responsible for acne and many major skin irritations, the solution of wiping out the skin’s bacteria as a panacea is a short-term fix that puts the skin’s balance in disarray. Triclosan is found in virtually every antibacterial soap there is. Your hand soap, your detergents, your other household cleaners. To swear off this harmful soap to both you and the environment, try using Carley’s Natural Soap. Here are tips for replacing your household cleaners that come in contact with your skin with natural soap like Carley’s. Put a soap bar in the bathroom next to the sink instead of hand wash. Lathering up a soap bar should not be hard at all with a soap tray. Check your cosmetic ingredients for any that contain triclosan. Toss them. Or donate them to your worst enemy. Replace dish soap by creating your own handpump. Put chunks of the soap in a handpump and add water and shake thoroughly. Voila! You have an easy lathered and convenient handpump that won’t destroy your skin or the environment. Remember, sometimes it’s the little things that help your skin. 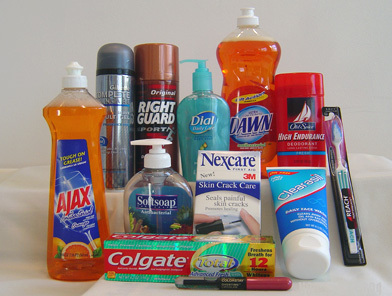 Triclosan is linked to skin allergies and skin irritations. It may be just the small change in your life that gives you the perfect skin you were looking for. You would be amazed how many times we hear this. The only solace seems to be trying an “all of the above” strategy. Using every product in sight. Problem? All of the benefits of using Carley’s Clear & Smooth are negated by mixing with other products. Mixing with other products is like mixing stale milk with fresh milk. Carley’s products are made fresh and dated. Almost no one else on the market does this. 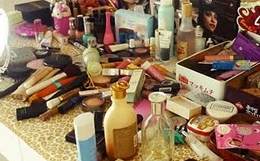 Stale products sit on shelves and become ineffective over time. Mixing acidic products with our pH neutral products will make ours acidic. We don’t believe destroying your skin’s bacteria with acids are the answer. Other ointments are highly acidic that act as antibiotics. This is quick fix that can cause permanent damage to your skin. Mixing high benzoyl peroxide products with ours will make ours high in benzoyl peroxide. Your skin will benefit with a lower amount of benzoyl peroxide. Most ointments use an absurdly high amount of benzoyl peroxide to get a quick fix. Mixing ointments with absorption-blocking ingredients (like Dimethicone) will make ointments stay on the skin and block ours. The products need to absorb into the skin. Ointments shouldn’t sit on the skin – they should absorb! The unorthodox, highly rated approach we take towards a permanent acne solution isn’t so great if you throw it in a chemical concoction of ointments. One of the first steps towards healthier skin is believing you can get healthy skin. If you’ve read The Power of the Subconscious Mind, you’d see that the state of your mind is absolutely crucial for any major change to occur in your body. By resigning that the product you just won’t work for you. That you need to supplement it with other products. Do you know what will happen? It probably won’t work! If you’ve been using our product and your skin has gotten worse, don’t run to the closest drug store yet. It takes weeks, sometimes months for your skin to adjust to these products. The skin is essentially healing from all of the years of damage done by acidic, stale, chemical-laden products you’ve used before. Follow the Quick Start Instructions correctly. If acne continues try the Kick Start Method. We tell every customer to email us if they have any problems. We will do our best to respond the same day and love to go back and forth with customers to make sure they are using the products correctly.